We will create a profitable environment where individuals can, with dignity, be what they want to be, where integrity, empathy and fun are our guides. We will create and cherish a passion for, and belief in, our company, our products, and our industry. We will seek knowledge and balance, and above all, we will be courageous as we lead our company and Forever Business Owners. Over 9.5 million Forever Business Owners enjoy the support and guidance required to live healthier and wealthier lives. Forever has grown into a global giant since it began trading in 1978 in Phoenix, Arizona. Forever is a multi-billion dollar company, operating in over 150 countries, affiliated with the world’s largest grower, manufacturer and distributor of Aloe Vera. From its international headquarters located in Scottsdale, Arizona, Rex Maughan, Founder, President and CEO, directs operations worldwide. With over 40 years of inspirational leadership and sound management principles, Rex Maughan has dedicated most of his life to helping people achieve what they want in life. As an alumni of ASU Business School, Rex has built a group of economy-proof companies that spans the globe. Rex is Chairman of the Board, President, and Director of the Forever Group that touches disciplines that range from direct sales, agriculture, manufacturing, leisure, property, livestock and charities. Prior to forming Forever Living Products, Rex Maughan was already a successful businessman, being the Vice President of a multi-million dollar company in Phoenix, Arizona. The relatively young industry of network marketing caught his attention because of its ability to provide the opportunity for financial freedom for people, regardless of education or background. 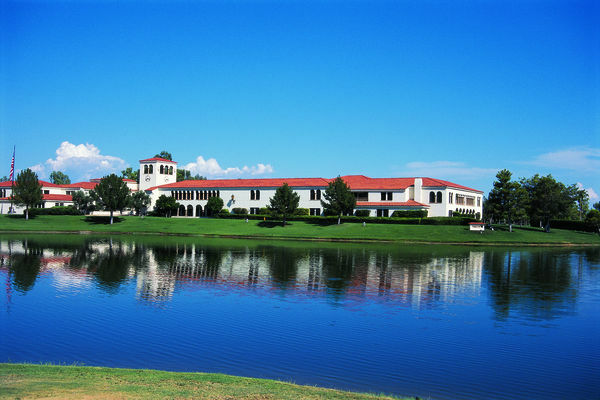 Rex Maughan has ploughed back the profits of this amazing company into an expanding Resorts Division, including the famous ‘Southfork Ranch’ in Dallas, underpinning the financial strength of Forever even further. From 2009 to 2010 a total of 1,800 acres (7,284,600 sq metres) of new aloe fields were planted. As a result of this investment, our capacity to process aloe vera leaves has doubled. By the end of 2011 we will be capable harvesting and processing 3 million lbs of aloe vera leaves (1,359,000 kg) per week on the Dominican plantations alone. There are planned further expansions of Forever’s plantations in to the Rio Grande Valley. Worldwide agricultural operations harvest over 4.5 million lbs (2,038,500 kg) of aloe vera leaves per week. In 2010 alone, Forever producing over 225 million lbs. (101,925,000 kg) of aloe vera. Forever’s aloe vera plantations produce over 60% of the world’s commercially grown aloe vera. Over $25 million invested since 2006 into AVA. New 275,000 sq feet facility opened in May 2006. Custom inventory management system installed to maximise efficiency from receiving to manufacturing to sales and shipping. Full automation of filling lines dramatically improved our production capacities, quality control and efficiency. Production output doubled over the last 4 years. ISO 9000 Quality Management System and ISO 14001 Environmental Management System implemented which has reduced solid waste by over 30 million lbs (13,590,000 kg) since 2006 and dramatically reduced our carbon footprint level. 8 million gallons (30,240,000 litres) of aloe vera-based products produced in 2010 along the new Drinks Bottling Line which can fill more than 300 bottles per minute, enabling us to fill over 400,000 bottles per day. AVA is a fully automated, 24-hour operation running 7 days a week. Latest addition to Forever’s world-class product suppliers in 2010 using the latest technologies, creating new innovative food supplements. Facility is custom-constructed, pharmaceutical-grade clean tech., microbial floors, ceilings, tiles, airlock system, pressure-tiered segregation of manufacturing centres. Its leading scientists have designed, developed, invented and launched over 15,000 new food supplements products over the last 20 years. A state of the art quality control laboratory. Began shipping product December 2008, serving 90 countries including the Northern African affiliates. Good infrastructure and location near freeway. Superior management system for enhanced integrated operations. Delivers at least 7,000 parcels a day. Bespoke architecture designed especially for Forever. Operates as a bonded customs warehouse.